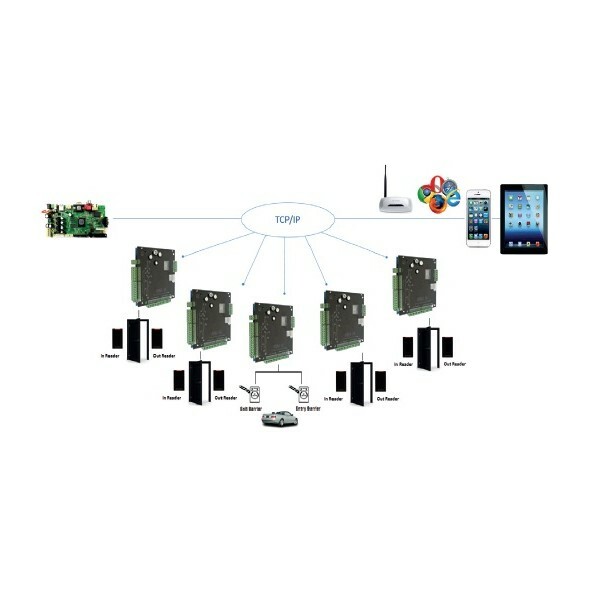 The Falco SBOX door controller uses the latest state-of-the-art flash memory technology which allows firmware upgrade. .Essential equipment settings, card database and transaction database are stored in EEPROM, so that there is no loss of data during power outage. There are 3 different entry access modes that you can set to adjust to your security requirements: Card only, PIN only and Card & PIN only. This means a door can be programmed to operate on different entry access mode at either same or different time for each day of the week, including weekends and holidays. For example, a door can be programmed to operate on 'Card only' entry mode during office hours but automatically switch to 'Card & PIN only' entry mode after office hours. Up to 50 sets of weekly timers, where each daily timer consists of 3 sets of start and stop time interval settings can be used for system behavior control. These timers are also tagged to a day-of-week selection, which are used for all timers related operations, such as locking and unlocking of doors, activating of User PIN function, etc. Quite often you may want to unlock the office main entrance door during office hours, but the door shall be locked during lunch break and after office hours. This requirement can be achieved through timer(s) controls. 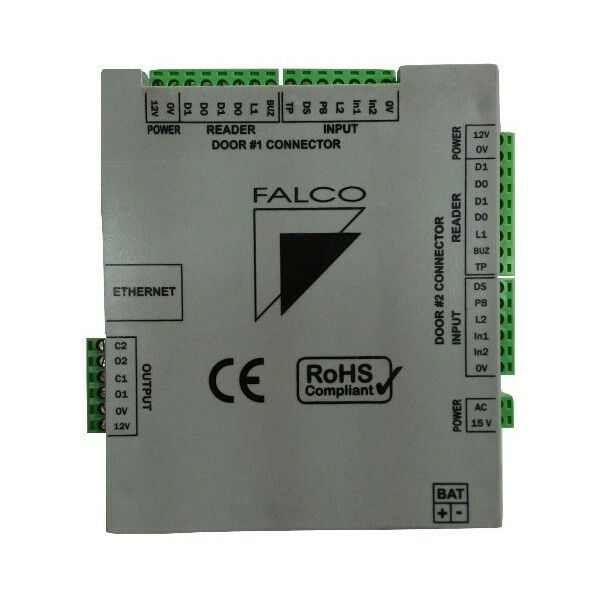 Falco SBOX Controller comes with battery charging and a power regulation circuit. The input power requirement is 14VAC, and a lead-acid battery can be connected to the charger output. In addition, AC power failure, low battery cut off and battery low status sensing are built-in.